The landscape of the American population is changing. A nation that used to be dominated by very young people, an ever-declining birthrate along with longer life expectancies makes it so the average age of Americans is increasing and there are more elderly people now than ever before. Many families are taking advantage of this longer period of active, vital life to create multi-generational approaches, allowing an adult child to be the caregiver for both aging parents and young children at the same time. A multigenerational approach to family living is not a new phenomenon. In fact, tradition in many cultures has always been more than two generations living in a home, and in many cultures, it is expected that the entire family will live within extremely close proximity to each other and all cooperate in the care and support of all other members of the family throughout life. There are many benefits to adopting this approach to your caregiver journey, and if you are considering transitioning your aging loved ones into your home to continue their care as they age in place, evaluating these benefits can help you to feel confident you are making the decision that is right for your seniors. Being around energetic people makes you feel energetic, and children are nothing if not energetic. Bringing them into your care routine with your aging parents means that your seniors can enjoy a boost in their energy, encouraging them to get more physical activity and stay more engaged with the people around them, improving their physical, mental, and emotional health. It is difficult to be upset when you are around happy, laughing children, and that definitely applies to aging adults. Letting your parents spend time playing with your children immediately gives them an emotional boost, reduces instances of depression and stress, and helps them to feel more motivated. As your parents play with, read to, and enjoy time with your children, they know that they are creating memories with the younger generation of the family. This helps them to feel better knowing that they are leaving a legacy for the little ones, and know that they will be remembered and honored as that generation gets older, and shared with the next generation, which is extremely meaningful for older adults who struggle with feelings of irrelevance. 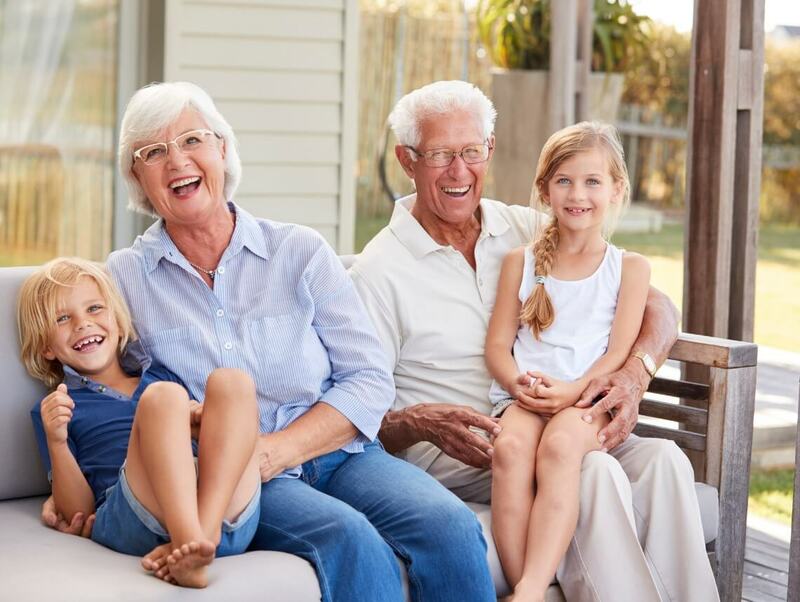 Your children can also benefit from your aging parents. Spending time with an older generation gives them the opportunity to learn respect and admiration for the elder generation, but also gives them the chance to learn from the personal wisdom and knowledge of those older adults. They can learn about the history of the family, experiences that your parents had when they were younger, information about their culture and religion, or even things as simple as songs and rhymes.